Today, I thought about what I would do if I had to choose between Miller High Life and the self-styled “King of Beers,” Budweiser. It kind of feels like a dare, but I’m up to it. Turns out, it wasn’t nearly as bad as I thought it would be. If you’ve been paying attention at all, you’ve probably reached the obvious conclusion that I’m a craft beer nerd. Rumors of me drinking High Life and/or Bud is like hearing about Fonzie wearing a Members Only jacket — it just ain’t right. But this question of “what would you choose?” was posed to me, and I had to explore it. It’s actually more realistic than it sounds, y’know. Let’s say you’re stuck at a dive bar in Armpit, WV, or if you’re at anything to do with SEC sports — there’s a 93% Miller High Life and Budweiser are going to be what’s available. So how do you choose? First, I wholeheartedly recommend that you taste everything for yourself and draw your own conclusions. Everyone likes what they like, and there’s no accounting for taste. You do you. Bearing that in mind, I’ll tell you what I think about each. And before you ask about Bud Lite, Miller Lite, etc., I had to draw the line somewhere, so I decided to not include any “lite” beers as they are fundamentally a different product altogether. It would be like taste-testing Coke and Diet Coke. Guess what?! The one with the gosh-darn real sugar in it is way better! Quel su-freaking-prise! So we went with the two flagship beers of these behemoth breweries to see which won out. 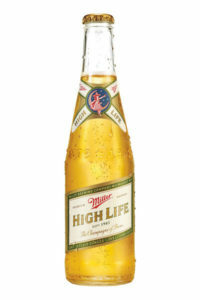 Miller High Life: What the what?! I actually CAN smell hops. Pleasant noble hop aroma, so I’m stoked and frankly surprised. Taste is quite dry, with just a hint of malt sweetness, but none of the corn I expected, balanced by reasonable hop bitterness, but no hop flavor at all. It is actually champagne-like in its dryness, and I can’t even believe I’m writing this. 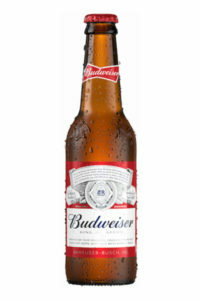 Budweiser: Hop aroma is absent, but that’s only remarkable to me in that it was present in the High Life. There is a light pils malt aroma that precedes the taste, which is sweet and corn-like. It reminds me of that murky water that’s in a can of corn, and I shouldn’t have written that because now you’ll never drink it. My verdict? For my tastes, the High Life was the way to go. I liked it’s dryness and the mere fact that it even approached its nickname (the Champagne of Beers, if you didn’t know) was impressive. For fun I’d like to put the High Life up against Pilsner Urquell and see how things go. As for Budweiser, if you’re looking for a sweeter beer, that’s your better option. Am I going to rush out and buy a six-pack of either of these? Hell to the naw. Drinking this stuff has been like going on a TAB binge, and the next beer I drink is going to be so bloody fresh and hoppy that I’m going to sprout hop bines out of my eye holes. But I feel enlightened as to what I would do if I had to choose between these two, and I frankly feel ever so virtuous for giving either a try. Yay, condescension!